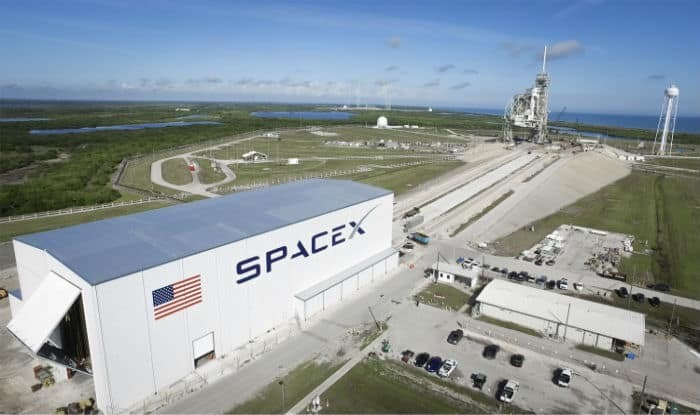 The next Dragon mission to the space station will be its first uncrewed demonstration mission designated SpaceX DM-1. Washington: After spending over a month in the orbit, SpaceX’s Dragon spacecraft left the International Space Station (ISS) on Sunday and is expected to land on Earth on Monday night, NASA said. “The SpaceX Dragon cargo craft was released from the ISS today at 6.33 p.m.,” NASA said in a statement on Sunday. “Dragon will parachute to a splashdown in the Pacific Ocean Monday at 12:15 a.m. then will be towed to port in southern California by a SpaceX personnel,” it added. This will be the first nighttime splashdown and recovery for the Dragon with plenty of moonlight to track its entry, NASA said. Astronaut Anne McClain onboard the ISS monitored the activities from the cupola and watched Dragon perform a series of departure burns as it separated itself to a safe distance from the orbital lab. Integrated operations between mission controllers in Houston and SpaceX controllers in California stop when Dragon reaches a point about 1 km away from the station. The commercial cargo vessel will bring home a variety of critical space research, including ISS hardware to extracted for analysis, refurbishment or discarding, NASA said. Dragon was launched on ISS on December 8 with more than 5,600 pounds of science and supplies. The spacecraft completed a 36-day mission attached to the station’s Harmony module. The Commercial Crew Program’s first launch is currently targeted for February and will demonstrate ground systems, orbit to docking activities and landing operations.